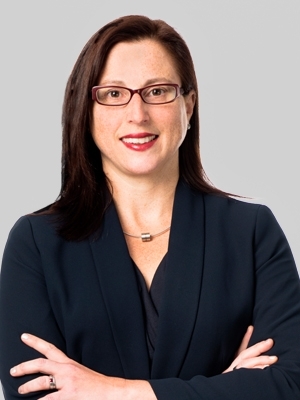 Catherine T. Barbieri, a partner with Fox Rothschild LLP, has been named chair of the Board of Trustees of the Women’s Law Project (WLP). The vote was held at a meeting of the Board on June 18, 2009. The mission of the Women’s Law Project is to create a more just and equitable society by advancing the rights and status of all women throughout their lives. To that end, the WLP engages in high-impact litigation, advocacy and education. Barbieri is a management-side employment litigator who represents clients in the full range of employment matters, including discrimination and wrongful termination suits, restrictive covenant litigation, Sarbanes-Oxley Act discrimination complaints, counseling and litigation avoidance, regulatory compliance and reductions-in-force. Her leadership roles within the firm include serving as a chair of the firm’s Recruitment Committee, hiring partner and a member of the firm’s Diversity Committee. A sought-after speaker and author, Barbieri has lectured at numerous continuing education seminars for attorneys, human resource professionals and accountants on topics such as the Americans with Disabilities Act, managing leave under the Family and Medical Leave Act, and responding to harassment complaints. The Women’s Law Project (www.womenslawproject.org) is a non-profit women’s legal advocacy organization with offices in downtown Pittsburgh and Philadelphia. The WLP has been making a difference in the lives of women through projects that include High Impact Litigation, Public Policy and Education, and Telephone Counseling and Referrals. The WLP has developed areas of expertise in family law, lesbian and gay rights, reproductive rights, violence against women, welfare and equity – including in athletics, education, employment and public accommodations.